Waiting for Rain had me hooked from the start and it was the premise that drew me in. Everyone in the world is dreaming about the four horsemen of the apocalypse and that the end of the world is going to happen on 23 April. I was fascinated by the how and why of what was going on but the first book in this trilogy focuses less on that and more on Rain and Wes. Wes and Rain meet when Wes rescues Rain from the local burger joint where she had been set upon by crazy locals. People have known the end is coming for a while now and the world has gone to pot. When you see the way people are behaving it really wasn’t hard to believe that when people think they aren’t going to live long enough to worry about consequences, that they'd spin out of control. Wes and Rain end up bonded together with Wes trying to survive 23 April and Rain fully expecting to die. The romance between them is new age angsty but it fits well with the story and I enjoyed having a love story among the chaos. The story has plenty of great action and drama as the pair do what they can to survive what are supposed to be the last few days on earth. Waiting for Rain is so good. I do love an end of the world story and with this one, I’m not really sure what is going on in the grand scheme of things or where the story is going but I can’t wait to find out. I’ll be waiting on tenterhooks for the next instalment. I'm no stranger to the dystopian romance genre, but I've never read anything like Praying for Rain. 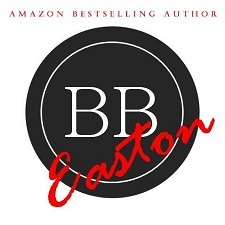 My first impression of BB Easton is that I will be a reader for life! Everything about this story drew me in. What would you do if you knew the exact date that the world was going to end? How would you handle the psychological phenomenon of everyone in the world experiencing the same horrific dreams? Would you be a "lifer" and go along as if nothing was going to happen, or would you be a realist and prepare for the end? I love that this story is the build up to the apocalypse instead of the rebuild from the event itself. Rain is an interesting character that you can't help but like, but I also need to know her whole story. As the book continues, there are little bits and pieces that just never fit together fully. She is the embodiment of strength and resilience, even though she has a vulnerability to her. Wes is wild-card, you don't really know who he is or what he represents. He seems to struggle with emotion yet feels deeply. These two complement each other perfectly! The romance was a slow burn, and I felt the chemistry build. Overall, this was an exciting and unique dystopian-type romance – none of this was cookie-cutter. I loved the characters, the twists and turns, and everything about this from start to finish. I am excited that there is going to be a second book in this series as I don't want to lose Rain or Wes yet! This is the first of a trilogy – so expect to be left wanting more! I have to admit that this genre is not one I dive into often, but the blurb absolutely sold it to me, and actually it was even better than I had hoped. From the start it completely took over my thought processes – thank goodness I read quickly, so I could concentrate on other things fairly soon... but I am still thinking about how I would act if I knew that the end of the world was coming on April 23rd. I was utterly fascinated by how Easton decided it would go, and could not read the pages fast enough to find out more. And obviously to concentrate on two people who have opposing views, yet find they need and want each other in the face of everything disintegrating around them. Really, my advice is pick up a copy and read it because it is far too clever and interesting for me to be able to do more than give you the recommendation. Now I really just need the rest of the trilogy! The blurb and this amazing cover were an instant pull for me. I don't normally read this genre, but I couldn't say no to this one and I am so glad I didn't. It pulled me in from the first page and kept me intrigued until the end. What would you do if you knew the day the world would end? Once you find out everyone is having the same dreams/nightmares, knowing April 23 is the end. You just try to survive without the vandals and thieves killing you. When Wes saves Rain from a precarious situation, she's grateful but confused. It's an every-man-for-himself situation and here he is willing to help her, but is he using her for his own agenda? Is it worth it if he is? I am so happy I picked this one up. BB Easton killed it with an amazing read. I can't wait for the next book! Praying for Rain is BB's first full-length work of fiction. The idea, fittingly, came to her in a dream. If that sounds like the kind of person you want to go around being friends with, then by all means, feel free to drop her a line. 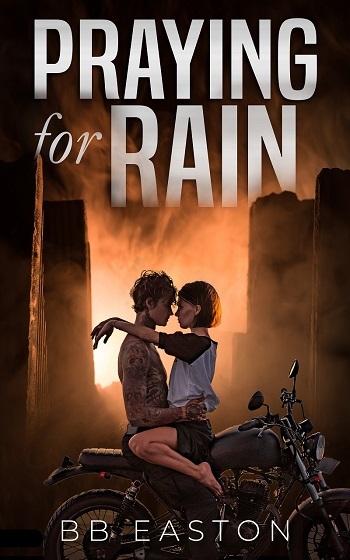 Reviewers on the Wicked Reads Review Team were provided a free copy of Praying for Rain (Praying for Rain Trilogy #1) by BB Easton to read and review for this tour.